In a letter to the NHRC chairperson, Karat referred to her complaint to the commission on the incident in 2016, and requested for a reconsideration of the closure decision. 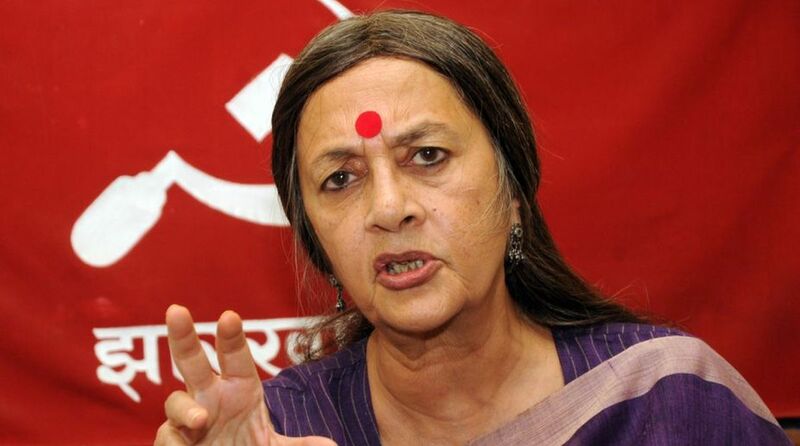 CPI-M leader Brinda Karat has protested to the National Human Rights Commission (NHRC) against the closure of a case on mob lynching of a 12-year-old boy Imtiaz Khan and his uncle M Ansari in the Latehar district of Jharkhand. In a letter to the NHRC chairperson, Karat referred to her complaint to the commission on the incident in 2016, and requested for a reconsideration of the closure decision, saying it would ensure adequate compensation and justice to the victims’ families. She wrote that the NHRC is failing in its duty to protect the human rights of the families of the victims in this case. It was “extremely disappointing” to learn from the Commission a few days back that it had closed the case concerning compensation for the next kin of M Ansari and Imtiaz Khan, she said. “The Rs. 1 lakh compensation offered to the families is an affront to justice and, therefore, it was not taken by the family. Surely, the job of the National Human Rights Commission is to ensure fair compensation for families who have been torn apart by brutal lynchings as in these two cases. It is shocking that the NHRC has not insisted that the meager amount of Rs.1 lakh offered by the Jharkhand Government should be increased,” she wrote. “Secondly, the case has been closed saying that the family did not respond within four weeks of your sending the report. Considering that the Commission itself has taken two years to enquire into the case, it is unfair that simply because the family has not answered within four weeks you closed the case,” she said. “There may be valid reasons such as migration for work, etc., which made it difficult to respond within the stipulated time. It certainly does not mean that the Commission can take for granted that the family has accepted this report,” Brinda wrote to the NHRC chief.